This French play is a one-man show dynamic, modern and passionate. It is the story of a young man who went to war, with his innocence and who will discover the horrors for which no one had prepared him. To escape, he will have no other choice but to concentrate on the pleasures of life that will save him from going mad. A violent transition to adulthood but with irony and humour! 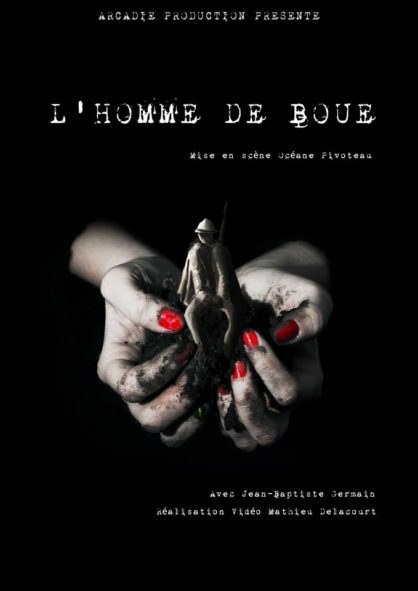 Created from real letters of “Poilus” from the First World War, L’Homme de Boue, is a French show which has been on tour since 2014. The performance is in French with English subtitles. “How can we continue to live when horror becomes everyday life? How can we bear the terrible visions of the battlefield? Well, we get drunk! To forget. To escape even. And alcohol, women and tobacco seem to be the perfect remedy to accompany the soldier in these imaginary moments of consolation and courage. Come and share the plonk with us! Come and sing until you’re exhausted! Come on, let’s get into the dance and try to go all the way together, until the last breath.